Einstein’s theories of relativity enables out modern global positioning system (GPS) to work because the satellites have to correct for the distances between the satellites and Earth. This was not the intent when Einstein derived the mathematics of the relativistic universe. At least I don’t think it was. He was playing around with figuring out how the universe worked out of curiosity. GPS is just one example where a theory has been translated into a practical product humans find useful. GPS also requires some other technologies that started as basic science too: Satellites, clocks, communications protocols, microchips, solar panels, and anything else that makes a satellite operable. In the biology, translation of research is both old and new. In the biology, translation of research is both old and new. Early on, it wasn’t called “science” (a 19th century term), but people tried all sorts of things in nature and the ones that worked, they put to use as products or technology. Beer & other alcohol/fermentation is an interesting example as they are not exactly practical, but were part of driving adoption of agriculture. It all starts with ecology…Humans are special in that we craft, combine, tinker, iterate, and attach narratives to everything we do and see– whole enterprises are based on ideas. It all starts with ecology. Basic tools like sticks are used by other animals. Humans are special in that we craft, combine, tinker, iterate, and attach narratives to everything we do and see– whole enterprises are based on ideas. I’ll end with talking about a company called Revolution Bio that’s creating color changing petunias through modifying some basic genetic circuitry of the plant. They’re doing a crowd funding campaign right now. It’s clever and strikes me as a good example of following curiosity, technology as play, and is something unique in the biotech world. To start, let’s talk about translation from it’s earliest roots. It comes from a plant native to souther Mexico called Zea mays, subspecies parviglumis that is bushier (i.e. more branches) than domesticated maize and has tiny ears with hard seed coats and few kernels per ear. It is not obvious that you would eat teosinte. We’ll likely never know exactly what prompted domestication, but I can’t help but wave my hand a little: People may have noticed that that birds ate teosinte seeds, and been inspired by that. The video also has a demonstration of popping teosinte like popcorn. Maybe people around a fire tossed teosinte ears onto a fire on a whim and realized it made an entertaining sound and then someone decided to eat because people try things. Perhaps popping teosinte was the distracting internet of its day? Over time, people noticed natural variants in the teosinte population and translation of the wild ancestor in the maize we know today was under way. As noted in the video, the differences in domestic maize and teosinte are largely down to 4 or 5 genes. The clever experiment to estimate this was done by geneticist George Beadle applying Mendel’s principles of segregating traits. He crossed teosinte and maize, meaning that first generation cross had half the genes from maize and half from teosinte and in subsequent generations of this cross, he looked to see how often plants looking exactly like teosinte or modern maize came up in the population. If two of the main traits had been genetically linked (as I talked about last week), he would have come up with an underestimate, but could say that there were 4-5 regions of the genome involved in transforming teosinte into maize. Kew Gardens in London, along with others was founded in part to translate exotic plants in the world to put to be put to use for the British Empire. It was for curiously and bragging rights too, having a large collection of plants is a fantastic resource to boast about. Building a garden of any size is often an exercise in curation, bringing plants that may not exist together in nature together into a space (or spaces at a place like Kew). It is another example of how humans can incidentally alter ecosystems, in this case creating new ones in a collection of plants from all over the world. This also furthered the growing of non-native plants for harvest in various places around the world. Tea in India is one example. 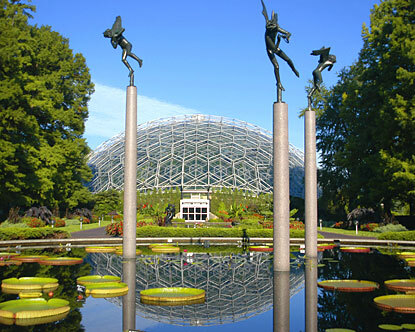 Climatron at the Missouri botanical gardens. Source. Today, of course, while continuing to have vast collections of plants, botanical gardens are a critical link in researching the natural world and in helping countries develop their “botanical talent”; both through conservation and sustainably using botanical resources. And Kew is in need of support as are other botanical gardens. The bacterial Bacillus thurengiensis (Bt) insecticide also started with observation and study of the environment and ecology. The first scientist to observe the bacteria killing an insect was Japanese biologist Ishiwata Shigetane in 1901. A few years later, German biologist Ernst Berliner discovered a different strain in Germany. Both were discovered in the context of being able to kill specific insects. 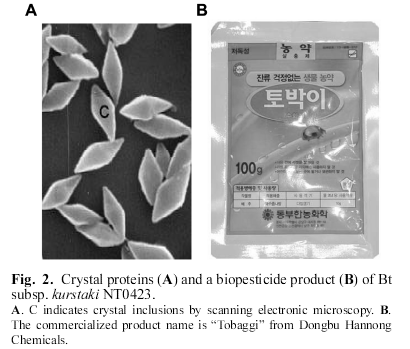 Bt produces a crystal protein when it develops into a spore and if this is in the right insects digestive tract, it will kill the insect. Bt is harmless to humans and other animals. Since Bt could target a specific agricultural pest, farmers started spraying it on their crop plants as a form of natural, safe, pest control. Many different forms of Bt toxin have been found since that target a variety of plant pest species. Bt crystals under an electron microscope and a pack of to be mixed and sprayed on crop plants. Source. In the 1980’s and 1990’s, Monsanto took the gene that coded for Bt toxin out of bacteria and put it into the crop plants themselves. This eliminated the need to spray Bt on their plants, reducing that cost and effort for the farmer growing GM Bt. This translation may not have been as easy as domestication of maize or getting a world trade in plants going, but it is quite similar in taking a series of basic science breakthroughs and turning them into a product. The discovery of Bt, the development of molecular tools that underpin modern molecular biology, and the technology to put the bacterial gene into the plant (via another bacteria, most often). There are now intellectual property laws that come into play, regulatory oversight, and testing on top of just the development of the translated technology. A second brief example of translation is essentially a vaccine for papaya trees to the papaya ringspot virus. Part of the virus was put into the papaya genome, thus saving the industry there. This effort was entirely publicly funded. It shows that translation can come from varying sources. As a recent Newsweek story highlighted, the application and scaling of biotechnology is expensive and challenging. But it is one more tool in our tool box to sustain human beings on the Earth and one we’re likely to need, if not now, in the future. Revolution Bio is a startup company targeting a market where modern biotechnology has not really taken hold– horticulture. 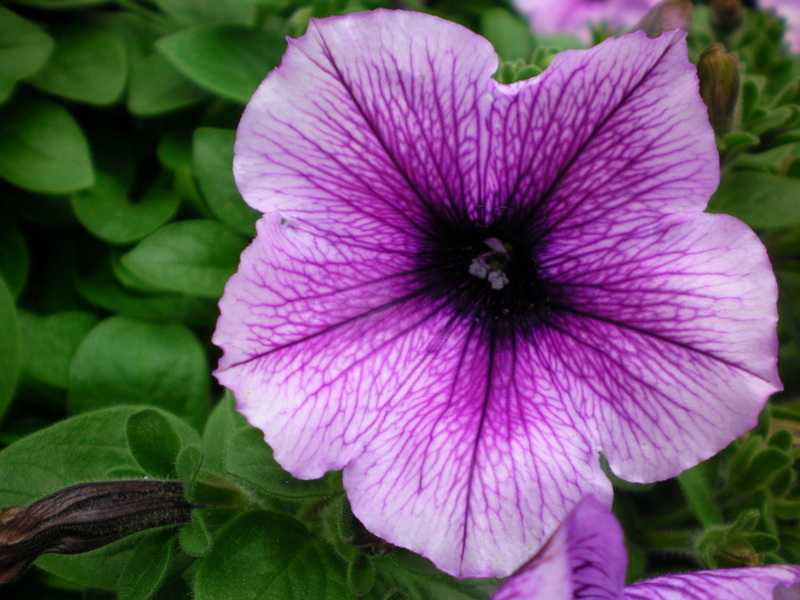 The goal is to create GM petunias that can change color under certain conditions. They’re starting with inducible color change. Share your beer with the plant (they respond to ethanol) and the flower will go from white to red over 24 hours. Share your beer with the plant (they respond to ethanol) and the flower will go from white to red over 24 hours. They also want to create a constant color changing flower based on the plant’s circadian rhythm. That would be amazing to see a flower in a rapid change of color. One of the co-founders, Keira Havens, told me the initial idea came out of the public response to an academic project figuring out how to use plants as biosensors to detect things like land mines or chemicals in the soil through color change. People who didn’t like the phrase “GMO” were excited about applications like these. One reason may be because they aren’t food. GM products like human insulin and rennet used in cheese production tend to be less controversial applications of genetic modification technology. Again, I will underscore that GM products are tested and regulated/evaluated. A petunia flower variety. They come in a lot of colors, but current available varieties don’t change in color Source. The founders wanted to develop more applications for plant biotechnology that would excite and inspire people. Through a lot of work and market exploration, they hit upon the idea of color changing blossoms. I could see a community growing around the ‘designer flower’ concept. It has happened before if you’ve heard about the Dutch Tulip mania. RevBio is working to encourage this with their makeaflower.com site. It is fun to see what is possible through the technology. In addition to colors which appear and change across the whole flower, creating color changing patterns in the flowers may also be possible. Essentially, they are using basic science knowledge of gene regulatory circuits and plant cell chemistry to produce color in a predictable & regular way. it is one of the more unique translations of biotechnology I have run across. It really does strike me as a project that will get more people to pay attention and interact with plants on a regular basis. It may not be practical, but many things we rely on (eg video games having a hand in modern computer/internet technology) today started out as products strictly for play. The neat thing about translation of research is that it can go the other way too. Applied research can lead to basic science insights. By playing around with regulatory circuits in petunias, the team at Revolution bio may inspire other biotechnology and contribute to new basic science discoveries themselves. The neat thing about translation of research is that it can go the other way too. Applied research can lead to basic science insights. Revolution Bio is currently in the middle of a crowd funding campaign that you can contribute to and get a color changing flower delivered to you (other perks available too). I highly recommend you go check out their funding page. A small plant genome and “junk” DNA.